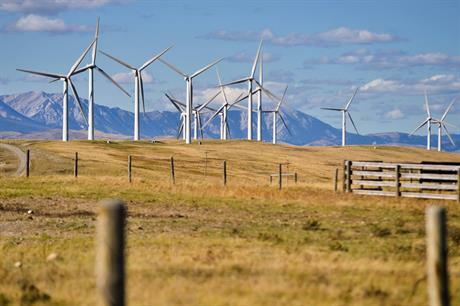 CANADA: Ten new wind projects across three territories in Canada were placed online in 2017, bringing the country's total to 12.3GW, according to the Canadian wind energy association (CanWEA). The association said the 340MW of new projects — located in Nova Scotia, Ontario and British Columbia — represented C$800m ($658m) in investment. "Municipalities and communities have ownership stakes in half of the new projects, which is a reflection of a growing global trend towards greater community involvement in wind energy development," CanWEA said. Canada's newly installed capacity was down from the 702MW added in 2016, and was lower than CanWEA's forecast for 2017. The association was, however, encouraged by December's auction in Alberta, which procured 600MW for an average C$37/MWh ($30/MWh). The auction was the first step in Alberta's plan to add up to 5GW of renewable energy to its grid by 2030. It currently has roughly 1.5GW installed. CanWEA expects the market to rebound slightly in 2018, with 600MW of new capacity to be added this year. "From Nova Scotia to British Columbia, wind once again proved in 2017 that it is a reliable, scalable solution to climate change that is delivering low-cost energy and local economic benefits to communities across Canada," said CanWEA president Robert Hornung.